Consumer Real Estate News – Kennedy Realty Inc.
(Family Features)--Remodeling your home can be one of the most exciting projects to undertake. Whether you're thinking about a bathroom update, kitchen overhaul or a new room addition, planning and setting realistic expectations are critical in ensuring your project goes as smoothly as possible. 1. Determine your goals and needs. Understand why you are undertaking the project, whether it's for resale value or so you can enjoy your home more. If looking to increase resale value, consider the neighborhood and potential upgrades that can have the highest impact when going to market. If remodeling can make for a more comfortable space, create a list of "must-haves" and "nice-to-haves" then evaluate what's feasible. Being realistic about needs and wants can help you create a budget. 2. Get inspired. Whether watching home improvement shows or browsing the internet, finding photos of styles and looks you admire can be beneficial when sharing your vision with a remodeling contractor. 3. Understand your budget. Setting a budget and staying within it is critical to the project's success. Be sure to build in a contingency fund for unforeseen expenses. Project expenses should factor in the cost of products, labor and project management. There are also possible additional costs such as long-term maintenance, repairs, energy use and a dining-out budget if undergoing a full kitchen remodel or hotel costs sometimes necessary with large-scale projects. To avoid any unpleasant surprises, be sure to get a written estimate and scope of work once you've selected a contractor. 4. Determine timing. If there is a specific event driving your remodel, work backward through the various project stages to determine a realistic timeline. Build in additional time as a buffer for unexpected delays and recognize remodeling contractors typically have long lead times and may require flexibility to deliver optimal results. 5. Find a contractor you trust. 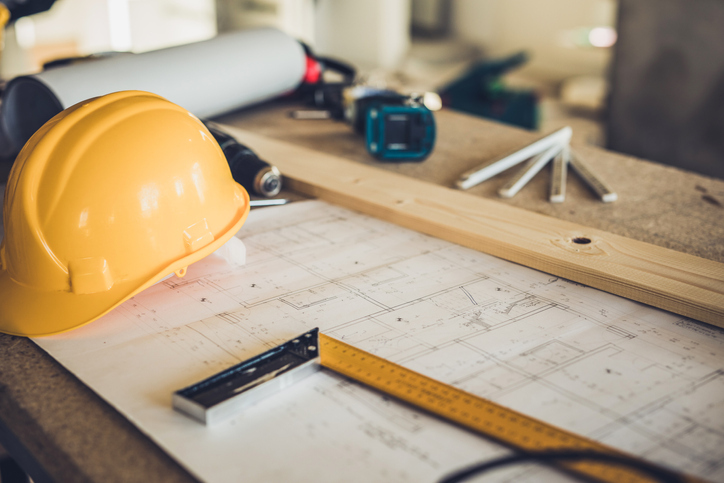 Home remodeling can be stressful no matter how well you plan, but a dependable partner can make the process go smoother. While some of the best references may come from neighbors, friends or family members, a trade association like NARI can help with its online "Find a Remodeler" tool. Make sure any contractor you're considering has several years of relevant experience, as well as liability insurance. 6. Check references. When it comes to remodeling your home, you can never be too careful when choosing who to work with. Be sure to follow up on references, read reviews online and even check out the work of any remodelers you're considering hiring, if possible. 7. Prepare for the process. Regardless of the size of the project, there will almost surely be inconvenience, noise, dust and potential delays. Your daily routine will most likely be disrupted. Because it can be especially stressful when redoing the kitchen or an essential bathroom, you'll probably need to consider a backup plan or other arrangements throughout the duration of the project. Remember to also declutter the work area and protect or pack away any belongings that might be in the way during the renovation. Do you hear things that go bump in the night? See lights that flicker on and off? If you’re worried that your home might be haunted, there’s probably a far less exciting explanation. Consumer Reports (CR) unravels the mysteries of unexplained “phenomenon” around the house. The unexplained draft. Feel a shiver up your back? 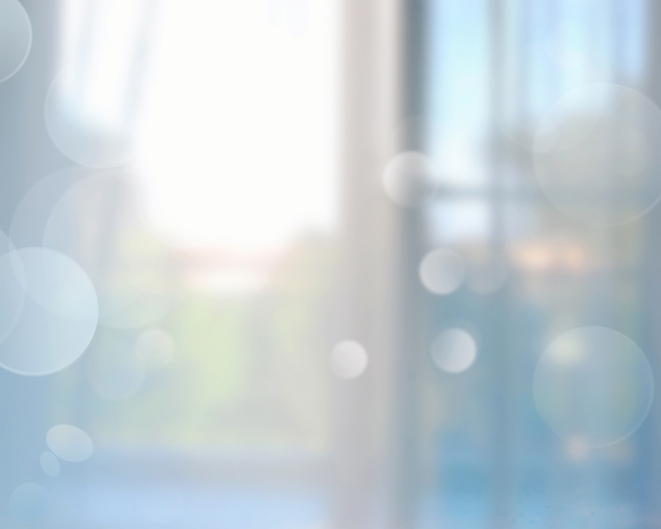 If you have unusual cold spots or drafts in your home, they’re most likely caused by air leaks or inadequate insulation. Professional energy auditors can use infrared instruments to identify such cold spots, or CR recommends simply using an incense stick. If smoke from the stick blows sideways when you hold it up to windows, doors and walls, air is seeping in and out from those areas. Caulk and weatherstripping around doors can help eliminate drafts, or insulation for larger gaps should eliminate the cold spot. Appliances that turn on and off. Unfortunately, CR has documented many instances of appliances turning on by themselves or spontaneously combusting—and the cause is not paranormal, but a serious manufacturer’s defect. CR advises reporting any such occurrence with larger appliances right away to saferproducts.gov, as well as to Consumer Reports through its Report a Safety Problem page at consumerreports.org. If lights or electronics are turning on and off, it could be due to a power surge caused by a passing storm, or it could be something more serious, such as a defective switch or loose circuit connection. Since both are considered a serious fire hazard, consult a licensed electrician immediately. Noises in the night. Lots of things could be the culprit behind the variety of sounds you’re hearing at night, starting with a squirrel or rodent in the attic. Both can wreak havoc on insulation, and small rodents can chew electrical wires in appliances. Control such pests by blocking holes in your home’s exterior, including foundation walls and roof soffits. Knocks and pings can also be the result of your home’s heating system, many of which are normal, as heat and metal interact. Plumbing lines are another source of knocking, due to pressure changes in the pipes. Open doors and cabinets. This particular mystery is all about humidity—or lack thereof. Drier air causes wood to shrink, which, in turn, can make doors, drawers and cabinets open on their own. Try leaving your bathroom door ajar when you shower to raise the humidity level throughout your home, or invest in a humidifier. Balloons are fun, festive, and beloved my children and adults alike when it comes to celebrating. However, if released into the air, balloons can be damaging to the environment and wildlife. To help consumers be better with their balloon use, the Balloon Council offers the following insights. Do NOT release any balloons. "Once you let go, you can't control the path of that balloon," says Dan Flynn, chairman of The Balloon Council, adding, "While we're pleased to see that our education efforts have helped to reduce the number of mass balloon releases, it's important to prevent accidental releases. 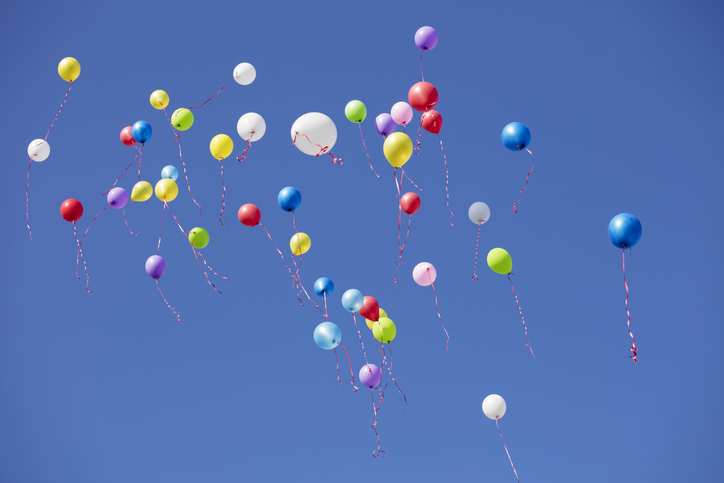 Make sure that if balloons are used outdoors, they're secured by a weight so they can't fly away or drift into power lines, roads, trees or waterways." Secure. Keep all balloons secured with string and tied to a weight. Even balloons not filled with lighter than air gasses, like helium, can get away with a light breeze. Dispose. When finished with balloons, pop and properly dispose of them. Check with your municipality to see if they have a balloon recycling program. Reuse. Foil balloons are reusable. By carefully deflating the balloon it can be re-inflated later, used as a wall decoration or repurposed. Monitor. Children with balloons should always be monitored. Children under eight (8) years of age can choke or suffocate on uninflated or broken balloons. Be Smart. Despite the funny voice helium can give you, it should never be inhaled - by anyone of any age. Helium can potentially cause health risks. "Balloons are recyclable and biodegradable, but we all need to do our part, pledge to #BeBalloonSmart, and enjoy balloons the green way, every time," says Flynn. Moody Tones. Dark, rich paint shades, such as chestnut brown, deep burgundy and charcoal blue create a “moody” velvety look thanks to complex undertones that create depth not usually found in traditional colors. Use them to make a dramatic statement on an accent wall, kitchen or bathroom cabinets, or in a small bathroom. Nature Rules. Our increasing movement toward technology is perhaps triggering the appeal of return-to-nature colors this year. Colors that invoke the sky, forest and ocean are quickly gaining popularity for screen-weary eyes. Look for muted blues, greens, grays and browns to bring the calming influence of nature into our homes. 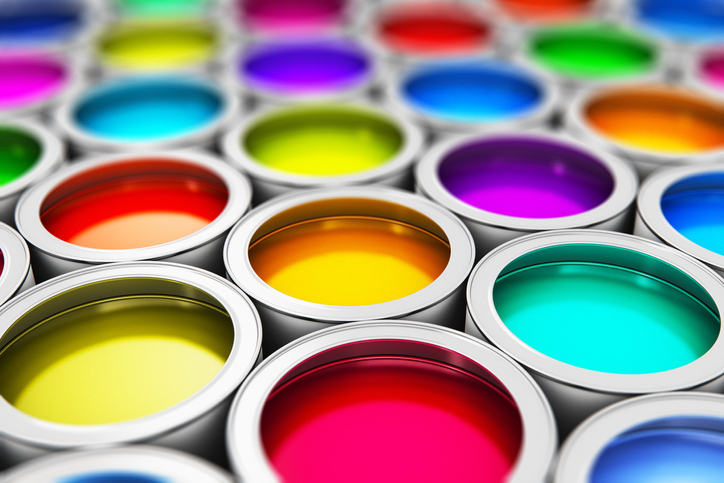 Any of these paint color ideas can provide a quick way to put your home on the forefront of design.